Bina007 is joined by Beric175 for a DVD commentary of the classic 1994 Patrice Chereau film La Reine Margot, based on the novel by Alexandre Dumas. 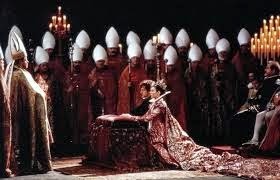 Starring Isabelle Adjani, Virna Lisi and Daniel Auteuil, the film is a beautifully filmed exploration of the power politics that led to the St Bartholomew's Day massacre in sixteenth century France. Bina and Beric discuss the 2hr 17 minute version of the film and make reference to George R R Martin's A Song of Ice and Fire. Naturally, the commentary contains spoilers for both the film and the novels.